There’s a lot to celebrate this month. CB&A hosted its 25th anniversary party, and, to ice the cake, we’ve been awarded a gold MarCom award for the events we held at ISTE 2016, the largest education technology conference in the United States. Just two years old, BuzzHub is a multi-faceted event hosted by CB&A to engage conference goers. Participants take advantage of a combination of workshops, meetings and events to gain visibility at ISTE. 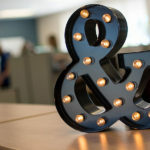 the MarCom award recognizes CB&A’s ability to create customized events that benefit clients through focused 1:1 interactions for clients with the media and prospective customers. 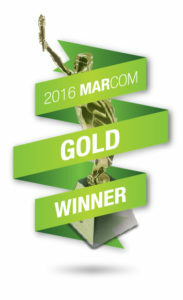 The MarCom Awards, facilitated by the Association for Marketing and Communication Professionals, recognize distinguished work by professionals who are involved in the concept, design and production of marketing and communication materials that contribute to the common good. CB&A believes in this mission, and strives to help those who are bettering the lives of every student, teacher and administrator. In addition to the MarCom Award, CB&A won a Hermes Creative Award for its efforts at ISTE 2015 and took home five Alchemy awards. Celebrate with us by liking our Facebook page and following us on Twitter. CB&A will replicate these award-winning BuzzHub efforts during the 2017 conference season. Want more information? Contact hello@cblohm.com.